We will take a look one by one of the many benefits of eating the evening meal early, and by early I mean between five and six thirty PM. It doesn't make you an old fogey to do so, and the health benefits are considerable. If you are worried about missing the evening news... eliminating the evening news will probably be good for your blood pressure... most of us use the DVR and watch the program and skipped through the commercials later. Make it a habit to sit down as a family for the evening meal. It will improve your family's communications, we never answer the phone during dinner, that's what the answering machine is for. You can learn more by signing up for our free e-book with our number one tip for frugal living...hint, it is all about consuming and/or preparing the vast majority of your meals at home... it saves you money, it is healthy, and as you can see it can improve your relationships by regular periods of family communication. Eating early gives you a chance for your body to digest the evening meal before you go to bed. It should be no big surprise that going to bed too soon after eating will almost guarantee a poor quality of sleep... with your body working hard to digest food rather than resting you are not going to wake up refreshed and the quality of the sleep that you do get will be poor. By eating your evening meal early, you have a chance to take a walk after the evening meal, a great way to assist digestion and perhaps do a little visiting with neighbors along the way. This does not mean a strenuous walk, vigorous exercise after eating a meal is counterproductive, vigorous exercise needs the oxygen and blood flow to go to the muscles being utilized... not to the stomach to digest food. Now some cultures eat much later than Americans do... some South Americans and Europeans consider 10 o'clock PM the proper time for dinner. They also tend to take longer to eat than we do and this helps mitigate the fact that they are eating later than us American and Canadian's. What we can learn from that culture is the importance of not eating too fast, enjoying good conversation, make that improving family communications, and enjoying our evening meal. 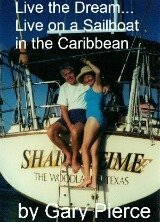 I know when my wife and I are on a cruise, we think nothing of taking three hours to eat dinner, it is very relaxing and one of the reasons we enjoy cruising so much. Tip number two in our series on easy ways to improve your health and save money as well is not eating the evening meal too late. If you do not have the habit now of eating your evening meal earlier try it for a while and see if your sleep at least does not improve. Return from baby boomers eat early to getting all 15 health tips by email, plus our number one frugal living tip e-book get it here, it's free of course.